Have you ever been bullied at school before?The definition of bullying is the to seek harm against others or to intimidate. Based on the research Bullying can cause suicidal thoughts in teens, so schools need to pay more attention to the student by helping students get involved with their interests. Bullying can create many negative comments like people are giving insults and maybe bullying on social media and can make people commit suicide. Some students can even get depression so that would make the student antisocial and there is somethings that a teenager would do if they had more depression, They would give the things love the most, get more of a attitude, get more tired. Those are signs of suicidal and how they slowly start getting away from things and how they don’t care of what happens anymore. This information is from a website about suicide and this organization was inspired by the film named Trevor. This website assists with prevention with suicide and and how you can help out and have edvice to prevent suicide (Trevor Project). Schools need to pay more attention to their students because students may have suicidal thoughts if they are being bullied and picked on. If schools include more activities like clubs, students can bond and make friendships and learn to support each other while doing what they love. “Facts About Suicide – The Trevor Project.” The Trevor Project, www.thetrevorproject.org/resources/preventing-suicide/facts-about-suicide/. It shows how to prevent suicide and how people can help on prevent it. And the website has on for the past 20 years and has a lot of job openings for people that want to help. STOP THE BULLYING by Jose is licensed under a Creative Commons Attribution-ShareAlike 4.0 International License. Jose, I thought you did a great job of bringing attention to bullying, an issue that is well known, but few people do anything about it. I also thought it was interesting how you had a call to action. 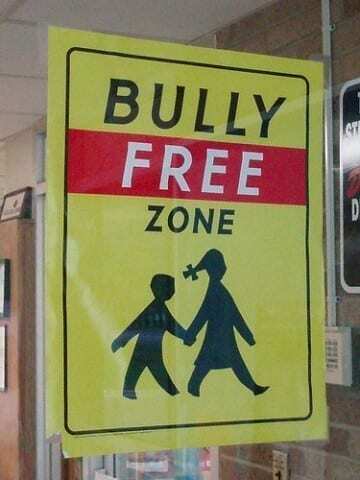 I agree that teachers, parents, and peers need to look out for bullying. Maybe purpose more options to contradict and prevent bullying. Here is an article you might find interesting. http://www.nea.org/home/72595.htm. It dives into the steps that can be taken to do this. Overall great job! this was a beautiful,thoughtful post you left for readers. this give us a heads up and let us look around on whats going on in our society today.I hope a bully bumps into this . thank you for having this thought. I appreciate that you not only highlight a very real issue but that you also give accessible solutions to improve the situation. I think that you are right about teachers and other school staff members having to be more conscious about paying more attention to how the students are doing. I encourage you to look into how can this be done in the classroom itself not just in extra curricular activities like clubs. That being said I do think that clubs are a great way to give students an opportunity to develop friendships and lessen the tension amongst them. How would you suggest creating clubs that the students would want to join?